AXIA Innovation participated in the 3rd International Conference of Energy in Transportation that took place along with the 7th International Conference of Energy in Buildings organized by the ASHRAE Hellenic Chapter in collaboration with the Technical Chamber of Greece on the 3rd of November in Athens. 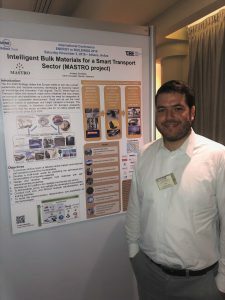 The overall description, objectives, and scientific background of MASTRO Project was presented with a poster by Dr. Andreas Gondikas (AXIA Innovation). Representatives from international companies in construction, equipment, materials, etc., international research organizations, and the Hellenic Navy were present at the conference.